I have been struggling to find the perfect foundation for years now. I have oily skin and have tried drug store brands, expensive department store brands and everything in between. Well I think I finally found the perfect “in between” brand – Origins. I love that all their products are free of parabens, phthalates propylene glycol, mineral oil, PABA, petrolatum, paraffin, DEA and animal ingredients. 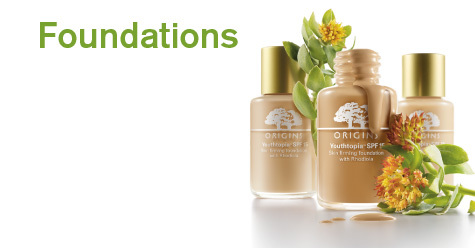 Plus, the best part is you can get the foundation for only $21! Think about it – you wear makeup everyday, you and your skin deserve the best!